About This Painting: I am back from ArtPrize and back to painting again. It was nice break. I meant many great artist and made a few new friends. I will be going back to Grand Rapids for meetings and updates on ArtPrize but I will not be at my exhibit on a regular time table like I have been for the last week. I want to thank every one who stopped in all the kind encouragement I received. It was nice to get out of the studio for a few days and enjoy all that Grand Rapids has to offer. 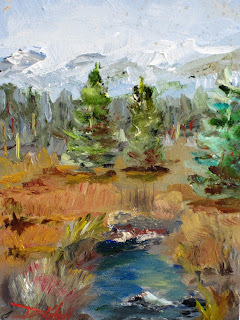 About This Painting: at the waters edge you get the most interesting reflections on the water. 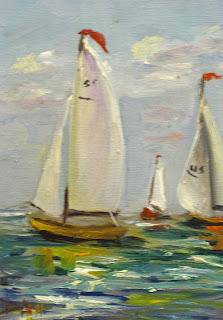 It was a still day in the harbor so I took lot of pictures to take back to the studio to work from.This is an oil painting on canvas mounted on a museum quality panel.I am currently working on some large seascapes that will be available on my Web site Delilah Smith Art by Delilah. 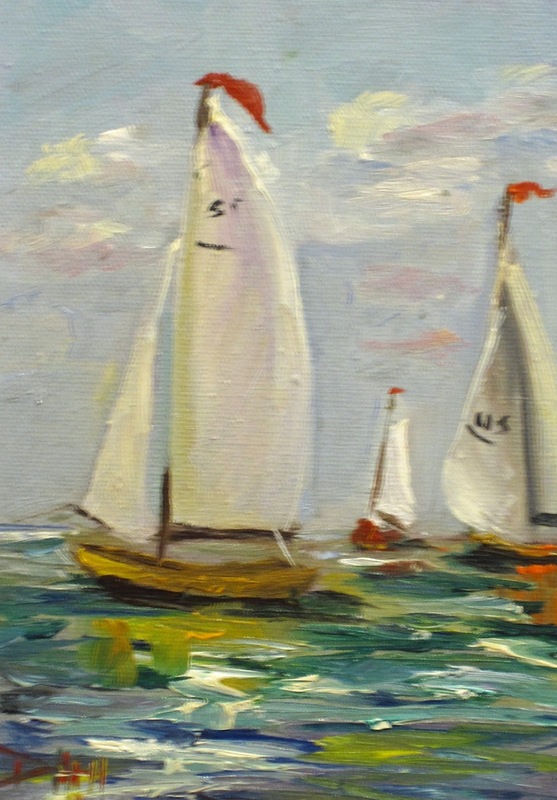 About This Painting: Sail boats on the ocean catch a nice breeze and sway toward their home port. About This Painting: ArtPrize starts tonight for the next 19 days, artist take over the city of Grand Rapids Michigan to read more click here. 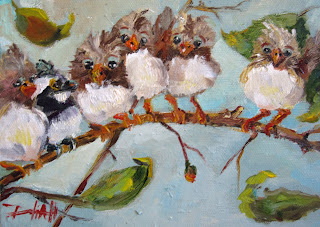 About This Painting: Hay those sweet chubby little birds are back. Just hanging out at the old tree branch. New friends are always welcome because they are a friendly bunch of guys, so drop in a perch for a little bit. About This Painting: We all have are dreams. Sometimes we can just float and dream. About This Painting: I have been so busy getting ready for the Art Prize Exhibition that it seems like all I do is run. It seems like everyone want something and they want it right now. There just isn't enough of me to go around. I have been going on about four hours of sleep a night getting everything ready and seems like it is not enough. How do I get few more hours out of that 24 hour day. So I thought when life starts to give you lemons time to add a few cherries. 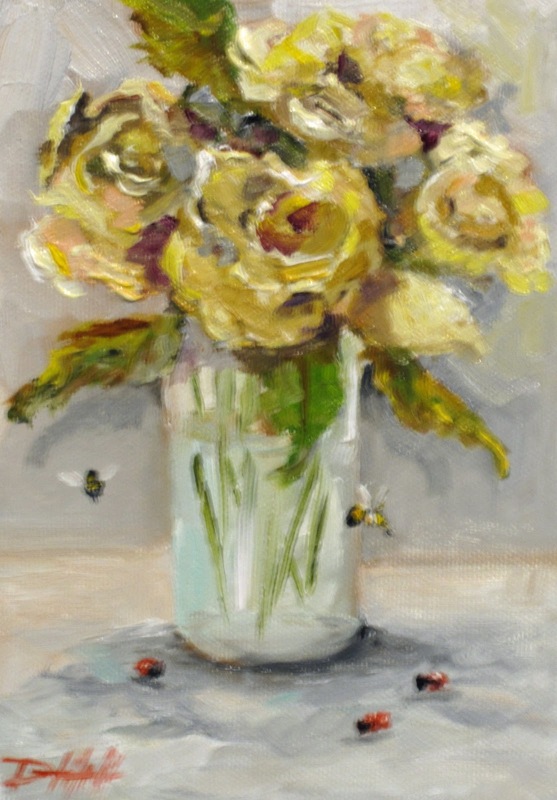 Yellow Roses still life with bees and lady bugs painted in oils. I have been wanting to paint a few roses for my daily paintings. I lake to add a few bumble bees for fun and the ladybugs just came along to join the party. To get a better feel for the yellow rose I am going to paint a series of them but maybe just a single flower at a time. I will then use these studies for a larger still life painting. I would like to try something 20x24. This painting is 7x5 and ready to be framed. About This Painting: In this painting I tried to put a little mystery into the landscape with the distant mountains in the fog. When I am painting a landscape I look for a horizontal element in the landscape to lead your eye into the painting to the area of focus, which is where the most contrast should also exist – having the lightest light and darkest dark in close proximity. 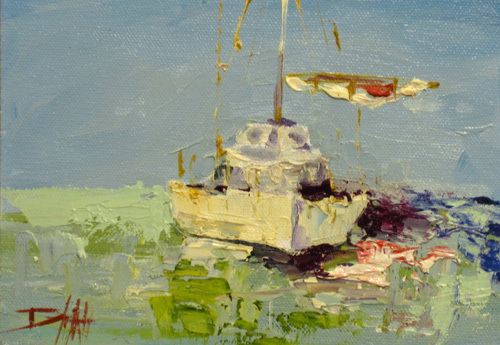 Also, never put your area of interest or horizon line in the center of your painting. I can not believe that summer is almost gone and fall is here and all the things I love about summer will be fading. 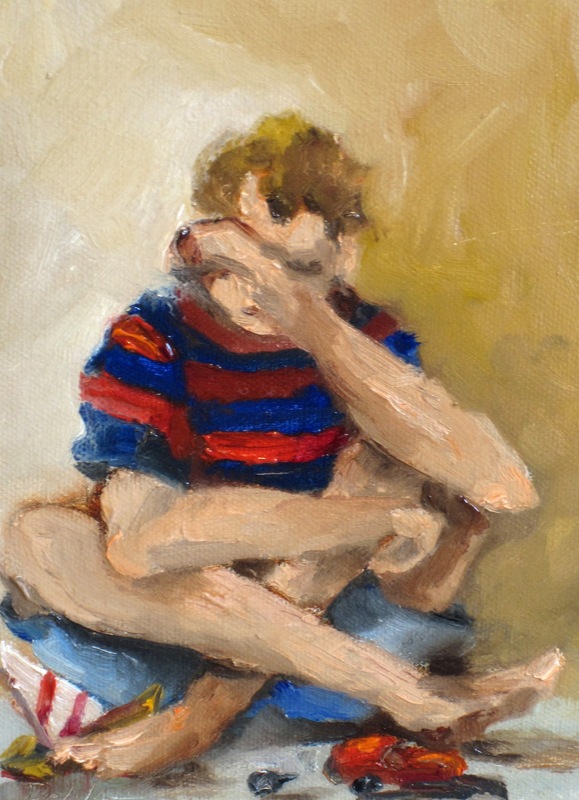 About This Painting: This little boy is not happy about his broken toy. 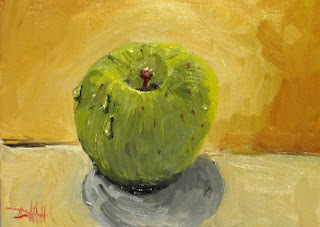 About This Painting: I love these tar little apples green apples. The Granny Smith Apple was just one of those lucky things that happened read more. I am doing ArtPrize 2011. One year of daily painting. 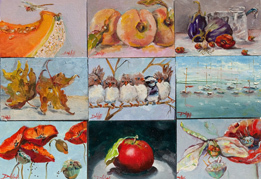 If you are in the Grand Rapids Area stop and see me at the WatersBuilding Sept 21-28 I will be there and the show will go until Oct 9 2011. I hope to see you. About This Painting: I have thought of Pansies as happy flowers. They seem to have smiling little faces. 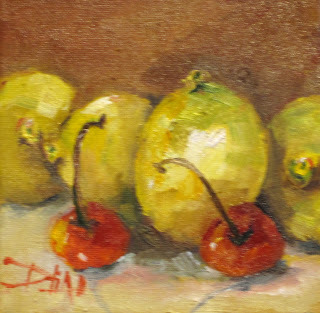 As summer draws to a close I have to get a few more paintings from the garden before it is gone. They are saying we will get a freeze soon and all my flowers will be gone. 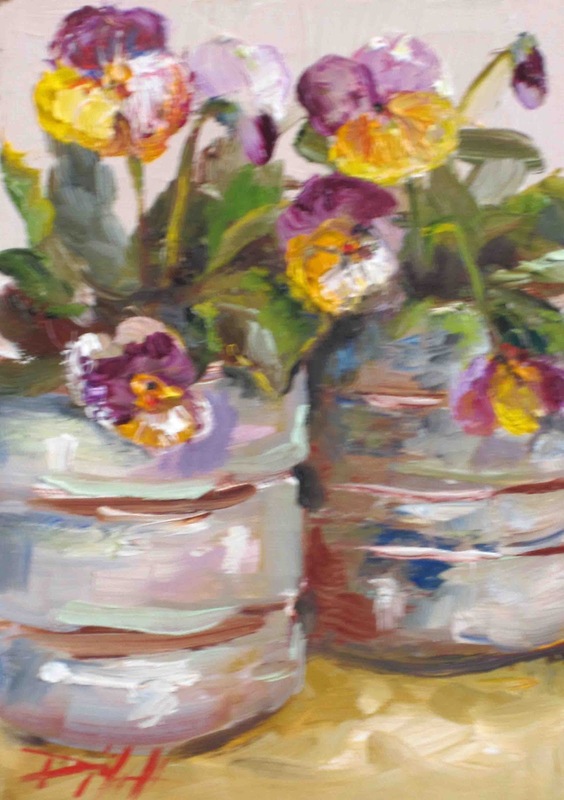 So maybe I am the only one who feels Pansies are happy little playful flowers. 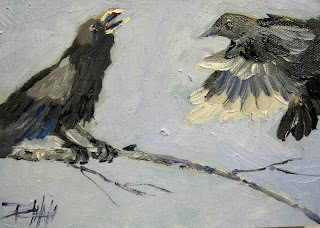 About This Painting: The challenge on Daily Painters International was to do a painting using only black and white with one other color. I chose blue and because we are getting into that season of things that go bump in the night I thought a few calling crows would be fun. 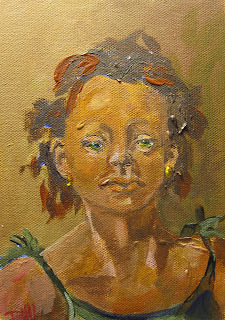 See this painting and others that I have done this year at ArtPrize 2011. About this painting: It is always good to be a rainy day saver, you never know when those extra pennies will come in handy. This weeks’ challenge on DPW is very simple. 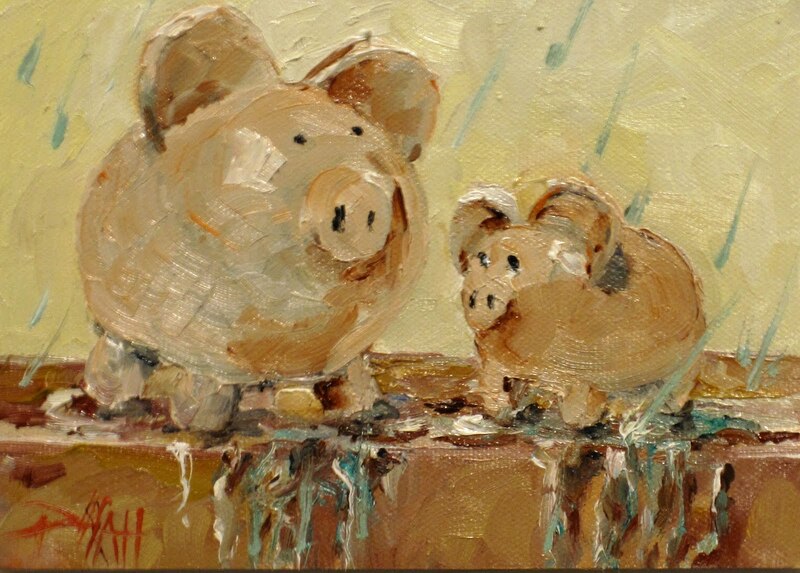 Paint a pig. Any pig. 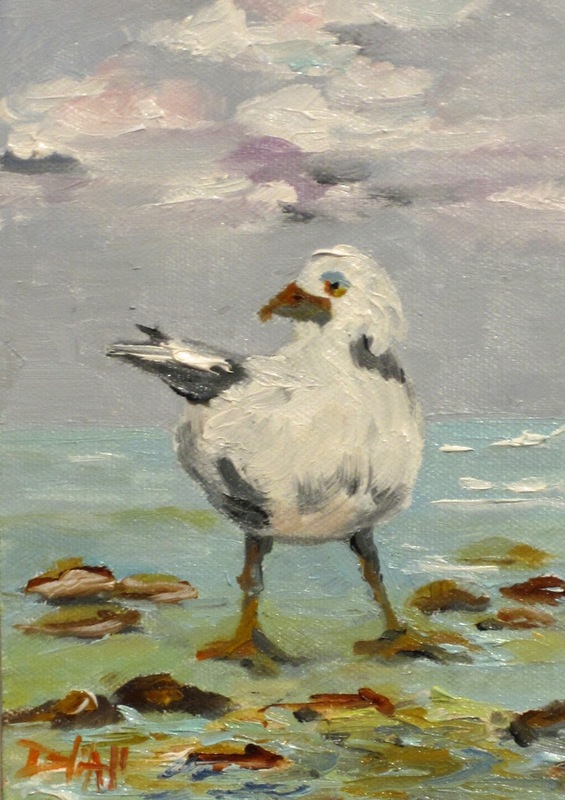 You can use the reference photo provided, or you can paint your own. 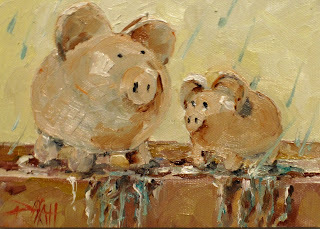 Your pig can be flesh and blood, ceramic, metal, fashioned from a potato, imaginary, etc. I got mine at a thrift store, but have since seen the same ones at Hobby Lobby. Oink oink (that’s pig for have fun! 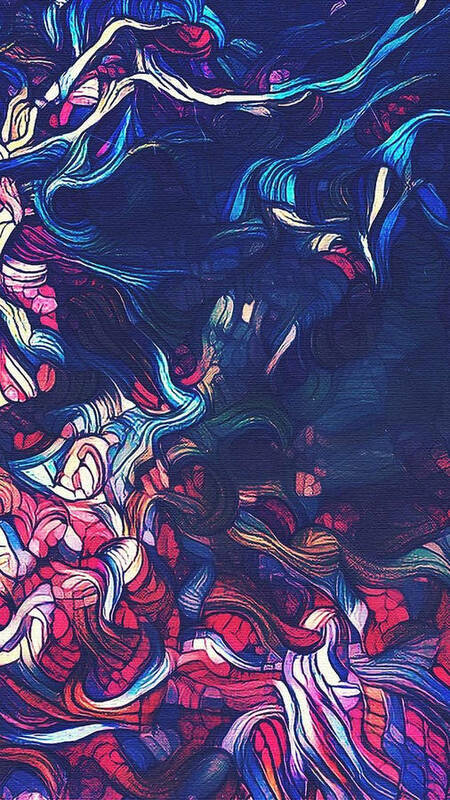 )!